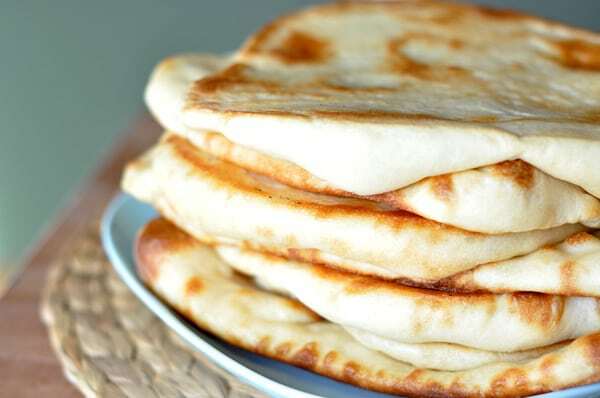 Naan: Prepare as directed on the package. Salad: Combine carrots, cucumbers, cabbage and sprouts in a bowl. Toss in dressing and top finished flatbread.